My family has an iPad original which is great for watching movies and surfing the web. The iPad 2 just shipped on Mar 11, and it was tempting to get an iPad 2 to share with the family. One of my friends got an iPad 2 on Mar 11 and shared his experience vs. his iPad 2. - I still find them too slippery! the smooth aluminum back slides around in my lap. - it feels a lot lighter, again, closer to Dave's Kindle 3. - the operation is snappier. I find that web pages are rendering faster. I am getting less of the checkerboard placeholder while web pages render. I also sense that the lag between starting a touch operation and the system detecting that is shorter, resulting in snappier response in games, etc. - I read that the white bezel could be distracting and that the black was superior. I deliberately bought the white to try that out, and to distinguish it from my original iPad (now my son’s). I am not as used to it yet, but once I am reading, I can't say that I really notice it. The content, especially that about Japan's earthquake and tsunami are so compelling that the bezel isn't really a factor. - I haven't seen the fancy new covers yet, but I hear that they are great. One site is predicting that Apple will sell nearly $1BN of the covers alone!! what a business!! Amazon.com and others are taking orders starting Mar 16, 2011 for the $599 Motorola Xoom 32GB wifi tablet. This item has not yet been released. 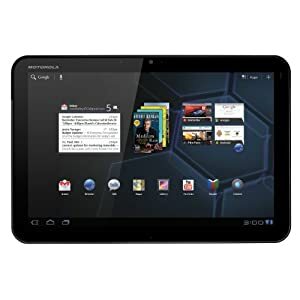 I decided to place an order for a Motorola Xoom as many of my technical friends prefer Google Android vs. Apple iOS operating system. Apple iPad 2 vs. Motorola Xoom: Which Wins As A Business Tool? The iPad 2 (left) is thinner than the Xoom (right) but has a slightly smaller screen than its rival. If you are a Travelgeek you either have or are considering one of the latest tablet computers. A lot has been written on this topic, so my focus is on the utility and value of these devices for the pro business traveler. Is it worth the investment? After reading the Forbes post, it became clearer what I am looking for in the Xoom vs. the iPad. Why do I believe that Android will prevail? It is because almost all of our lives are now wrapped around Google and its incredible data search and access capabilities. Apple, in my view, cannot compete with what Google can offer to Smartphone and tablet users: an amazing array of instant information from anywhere in the world which has been integrated into the functionality of a tablet or Smartphone through its Android operating system. I use Gmail and Google Search more than any other app. For the same reason Microsoft shipped apps for the Mac, but eventually developed more for Windows given they owned the OS, they could do more. Google can do more on Android than Apple’s iOS. There are many out there who are happy being an Apple device family. But, in my work Google is the dominant player with almost no need for Apple software. I may need to apps running on my iPhone, but I don’t actually need the iPhone. Google is a company who lives in the cloud. If you want to leverage the cloud why wouldn’t you get their device. The Motorola Xoom is the better device for working with the Google cloud than the iPad. The iPad may be better for entertainment and media, but that is not my work. Part 2 of the Forbes blog on iPad 2vs. Xoom closes with. As the Xoom takes its place as the serious business tablet, then I guarantee you will appreciate its attributes over the iPad, especially if you are computer-savvy and can appreciate the design differences between it and the iPad 2. As to the utility of tablets in general, I found more and more uses for my iPad during the past year and have come to realize its value and versatility as a computing device. Having said that, it has only taken me two weeks to all but discarded it in favor of what I consider as the “Grown Up” new tablet for business: the Xoom.